In which we go coco-nuts, with mixed results. So the national Spoon website posted an article a while back about the magic of coconut oil. 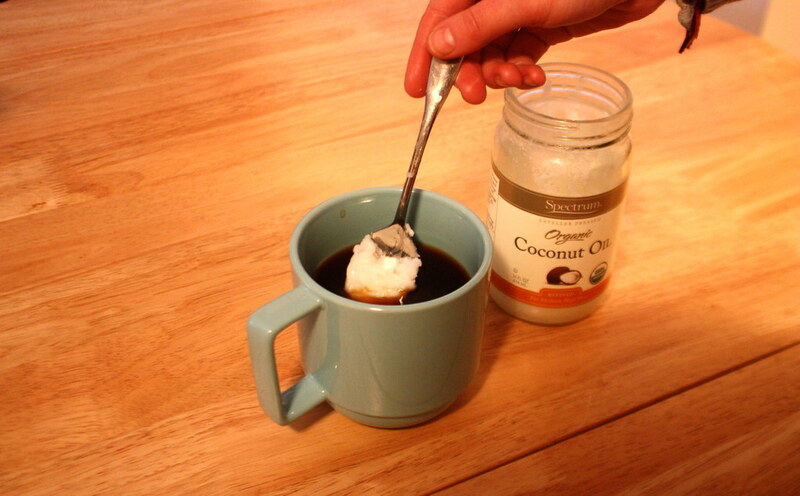 Being the kind Cornell chapter that we are, we thought we’d do some fact checking for our friends at national, and test out some of the 50 Ways to Use Coconut Oil. 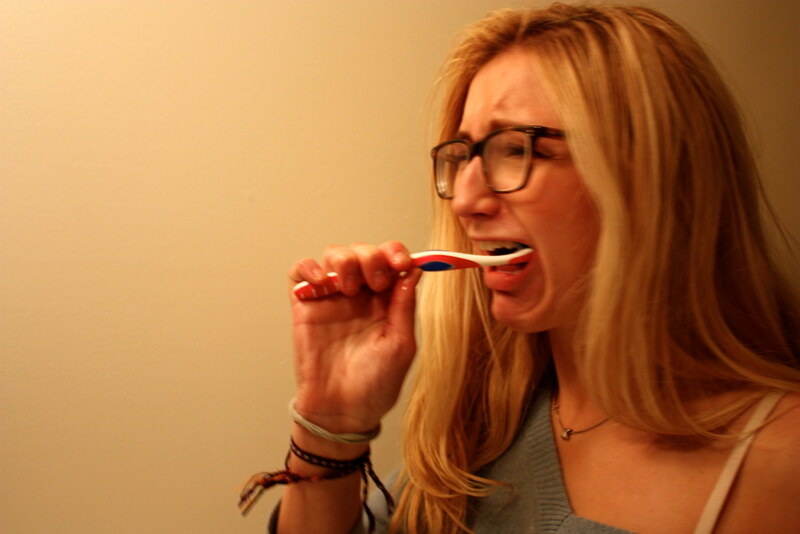 Our lovely editor Daisy absolutely jumped at the chance to try fun things like oil pulling and coconut oil toothpaste, and cause #picsoritdidnthappen, we’ve got the evidence to prove it. 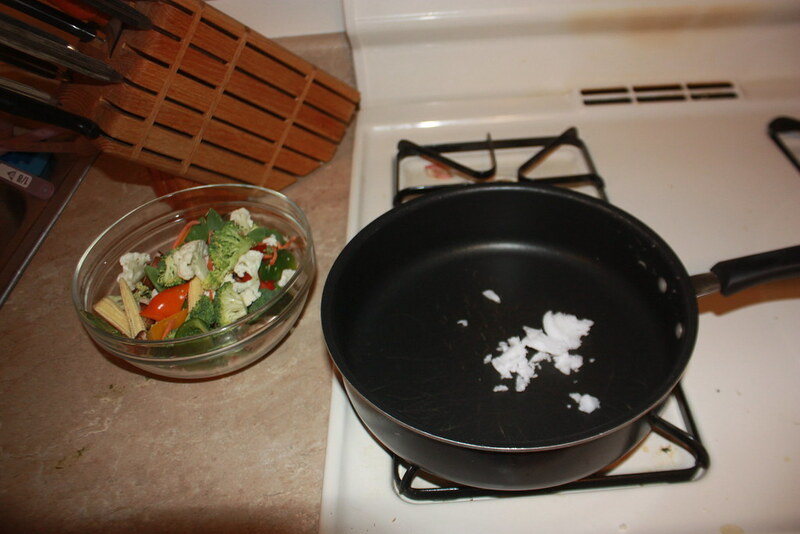 Because of Coconut Oil’s high smoke point, it’s the perfect (healthy) fat for your stir fries. 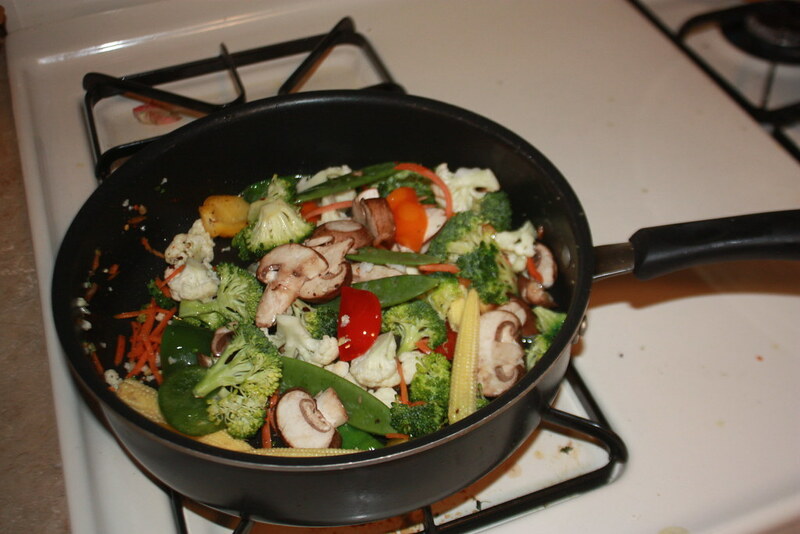 We needed less than a tablespoon of oil, and there was only a faintly sweet flavor transferred from the oil to the veggies. This was super easy and, like above, didn’t result in unintentionally coconut-ty chicken. 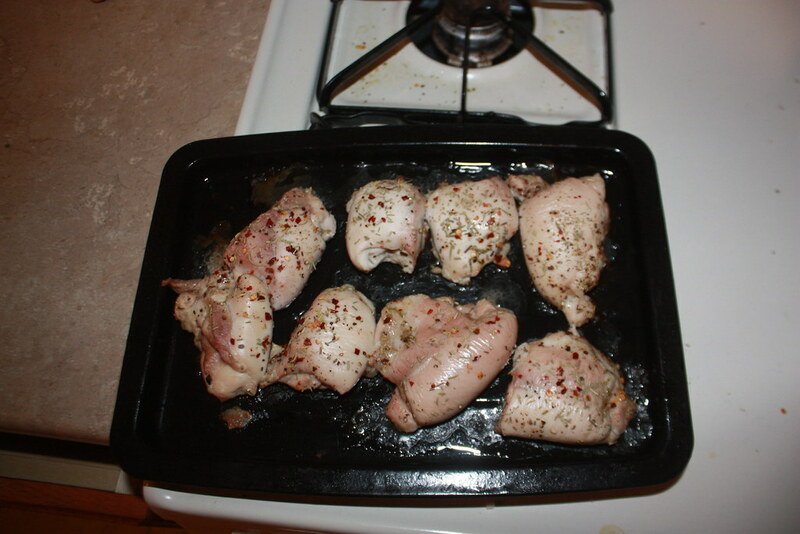 Just spoon out a tablespoon, rub it on a pan, and you’re good to go. This nifty trick has been used in India for hundreds of years. In order to reduce plaque, cure halitosis, whiten your teeth, rid your mouth/body of toxins, etc., you put a couple teaspoons of high-quality oil (high quality=you would eat it) into your mouth and swish it around for about twenty minutes. The process draws out a ton of bacteria and other gross things that live in your mouth, supposedly. 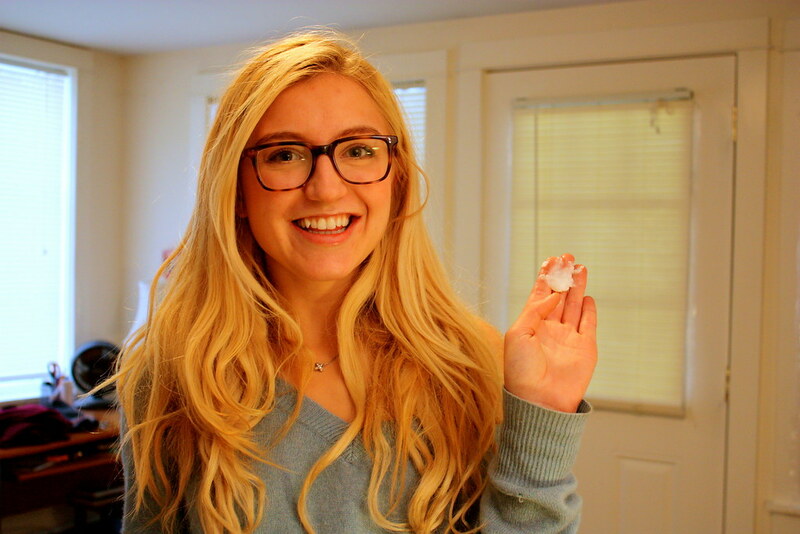 Daisy volunteered to give oil pulling the old college try, and seemed ecstatic about the process of a yummy detox! Daisy’s Note: This is exactly as awful as keeping a big ol’ chunk of oil in your mouth for 20 minutes sounds. I’ll take my chances with Halitosis, thanks. Also, if you’re ever curious to know what hell feels like: get the urge to sneeze around minute 17 of holding detoxifying coconut oil in your mouth. Good stuff. Right after Daisy finished oil pulling, she wanted to brush her teeth (I wonder why), so thank goodness we had our handy dandy homemade toothpaste close by! 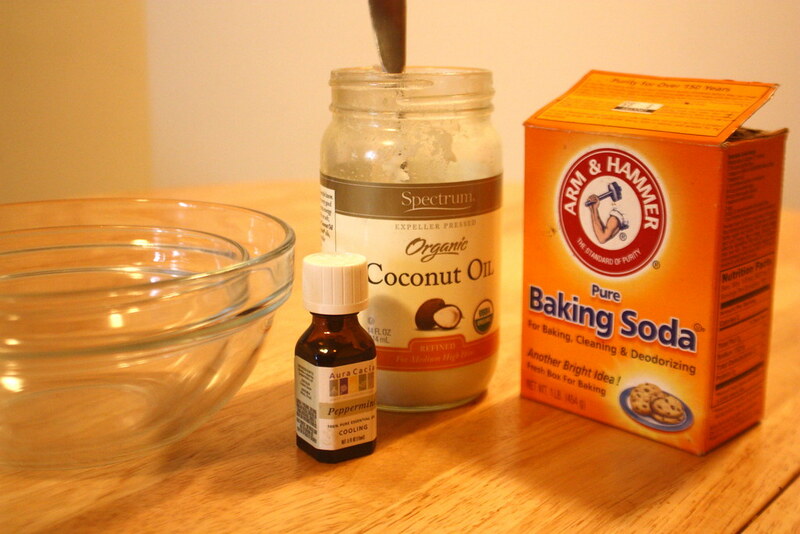 A mix of baking soda, essential peppermint oil, and of course, coconut oil, the homemade toothpaste is a cheap alternative to store-bought brands. Delish! Daisy’s Note: Only for you Olivia. No, no, no. 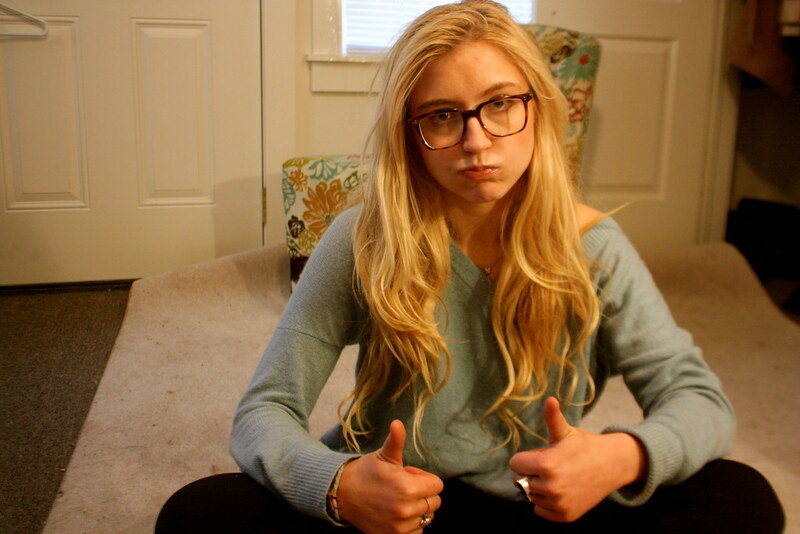 My mouth and I have a newfound respect for chemicals. Got inked? Dry skin and fading pigment? Me neither. But I recognize that the plight of fading tats is borne by many. Luckily, one of own once walked on the wild side and got tatted up. We rubbed some coconut oil on to see if it really does prevent pigment fading. For the vast majority of college students, myself included, cutting boards are redundant. Why get a cutting board when you can cut veggies (a roll of Pillsbury cookie dough to eat raw) straight up on the counter? 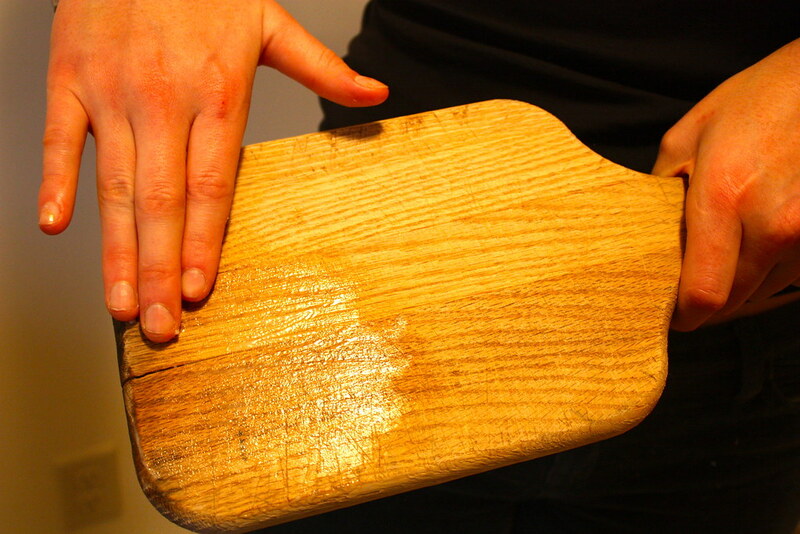 But just in case you’re a board kind of person, use coconut oil to condition/clean/make it shiny. 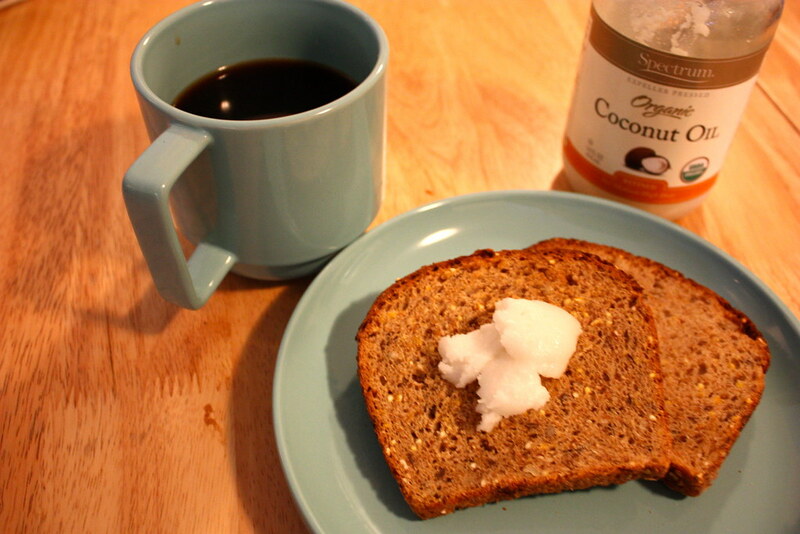 15/18 Add to Coffee and Toast: In the mornings when you accidentally wake up early and have some time to actually make breakfast, add coconut oil to your coffee and spread it on your toast! 7/19. Coconut Oil for your beauty routine: If you’re looking for a new beauty routine and would like to slather up with some oil, have coconut be your nut of choice. It moisturizes lips, calms down that winter frizz, and gets rid of those pesky dry elbow patches. Daisy’s Note: This was fine as a flyaway-tamer, but if you want to get real crazy (and serious Connie Britton-style shine) scrape a few handfuls through your hair, root to tip, before bed (you will look like you just emerged from a shell). Shampoo twice the next morning, condition as usual, and voila! Here at Cornell, where you’re not walking unless you’re slipping down a hill, well-salted roads are your best friend. They are not your leather boots’ best friend. We believe in friendship here at Spoon, so show your boots some love and get ’em lathered up in coconut oil to combat that salt.